Plastic Cards are a great way to put your business in the lead! They offer thousands of practical and promotional applications with a huge market. We are able to offer Plastics at super affordable prices. 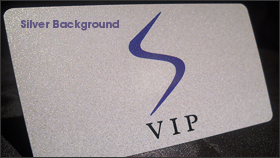 Plastic Cards are very durable and printed on 20mil Plastic Opaque White,Frosted and Clear stocks. They are also available in 30mil Credit Card Thickness with lots of extra options to choose from. The 20mil offers Transparent Ink on Frosted and Clear Stocks with an option to do Solid Ink as a Upgrade. The 30mil offers Solid ink on the Clear and Frosted Stocks. With these cards, the sky is the limit! Have	a	Question? Please provide our Team with any additional requests that you may have. Please provide our designers with as much information as possible about your upload. Please upload your logo, image or design. Our accepted file formats are: EPS, TIF, JPG, GIF, PNG, Photoshop, or Illustrator. Please be sure that your image/images are at 300 DPI or higher - click browse to locate your file on your computer. - Please note that Frosted and Clear Stocks are harder to read and do not exactly turnout as artwork. We can not be responsible for plastic cards not appearing like you wanted. - Note: 30mil is Credit Card Thickness, 20mil is thinner but easier for clients to store. - Our Super High Quality Plastic is with a rigorous quality-control process that ensures that you get the results that you are expecting. We are known to have the Best Quality in our Plastic Cards. By using state of the art presses and plate making technology we are able to offer our customers the best possible product at a very competitive price. 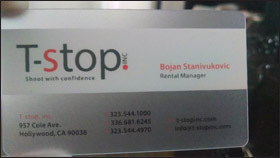 -AcceptPrint.com is the leader in clear plastic business cards is a unique way to elevate your company's image to the next level while making a lasting impression. 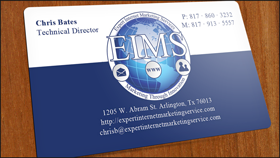 Today's competition in the job market is fierce, Clear or Frosted Business Cards are the means to get recognized. 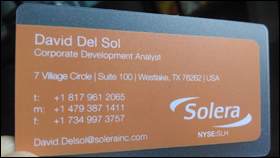 -Our litho printed White and Frosted plastic cards showcase your plastic business card designed with your logo, personalization. 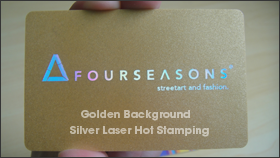 We accept all designs and also have a full service design department who will design a card to your standards utilizing 4-color and Pantone color options. -AcceptPrint.com brings you the latest plastic card styles and technology with our complete line of clear plastic cards. 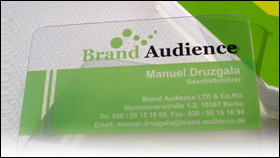 Explore the possibilities that clear and frosted plastic business cards offer. AcceptPrint.com's award winning design department can assist in the design of you White and frosted plastic business cards.